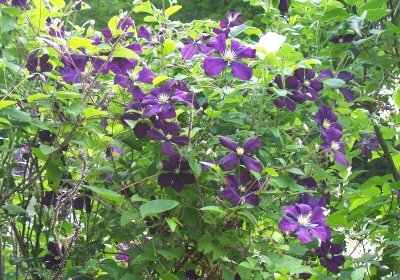 Etoile Violette Clematis: lots and lots of purple flowers. also one of the earliest Full Prune clematis to bloom. Looking for a vine to scramble through a large shrub? 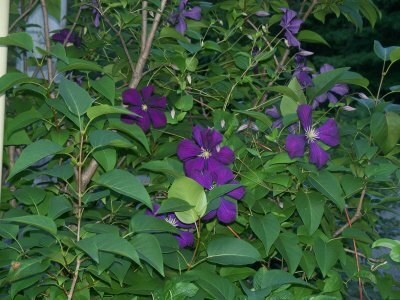 Vigorous Etoile Violette is a great choice!